The nearly 150,000 square foot Wegmans store spans two floors inside the Natick Mall and includes a full-service Mexican restaurant and tequila bar, a kid-friendly burger bar, and a hand-brewed coffee shop that transitions midday into a bar and lounge. From the Market Café organic salad bar made fresh in front of you to the pizza shop that cooks personalized pan pizzas over lava rocks from Mt. Vesuvius in just minutes – it’s clear as soon as you step foot inside, this is not your average grocery store. Believe it or not, this nearly 150,000 square foot Wegmans store spans two floors inside the Natick Mall. In includes a full-service Mexican restaurant and tequila bar, a kid-friendly burger bar, and a hand-brewed coffee shop that transitions midday into a bar and lounge. In addition to traditional groceries, you’ll find live lobsters, a cheese shop and Mediterranean bar, a bakery with made-to-order treats, and a large selection of liquor, beer and wine -- including more than 800 domestic, imported and craft beers, as well as a wine tasting room. And a fun feature for getting your groceries from one floor to another is this shopping cart conveyor belt that carries your carriage while you ride the escalator. 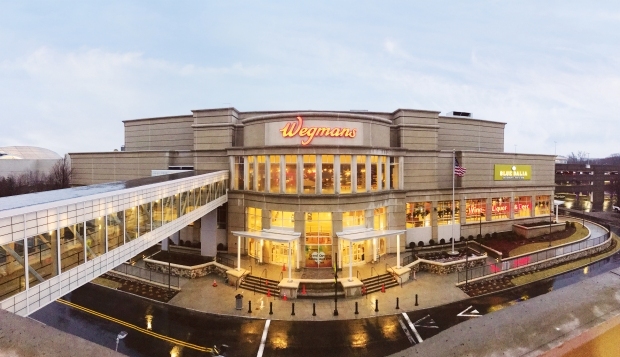 Wegmans’ grand opening is 7 a.m. Sunday, April 29. 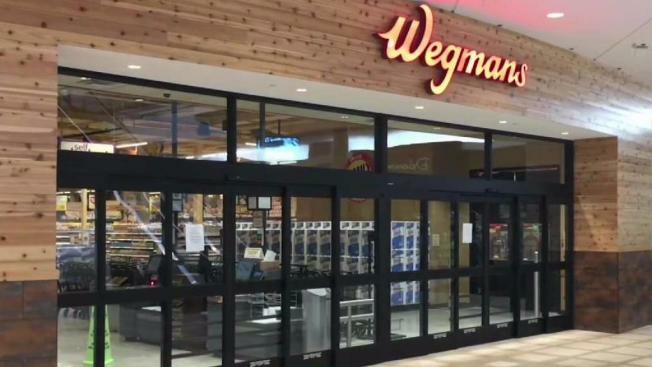 Newest Wegmans Set to Open Its Doors in Mass. Blue Dalia, the Mexican restaurant and tequila bar, opens next Friday, May 4.